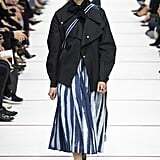 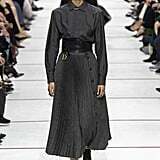 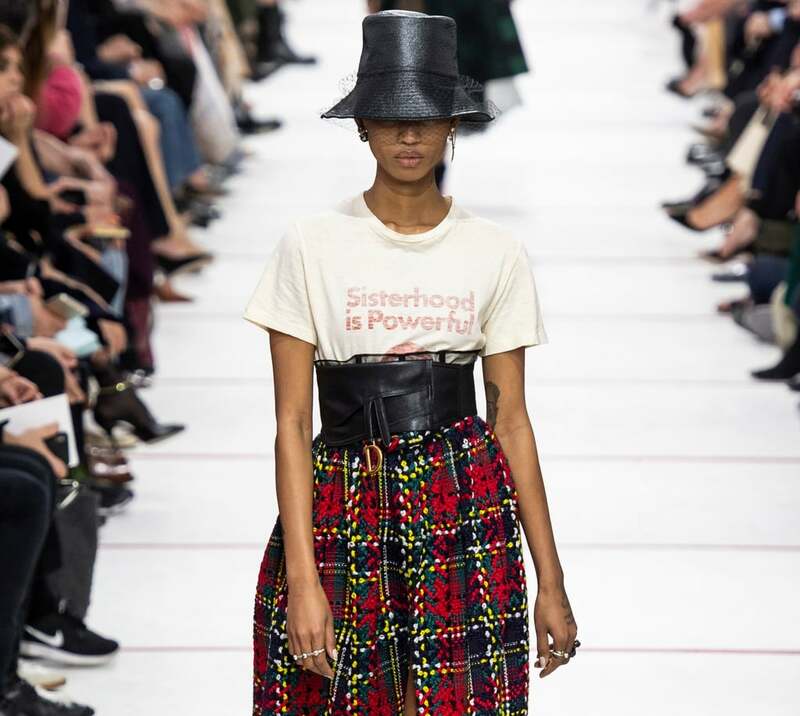 While the Dior woman has always been proud of her femininity, and especially her strength since Maria Grazia Chiuri took the reigns at the fashion house, it's never been more obvious than right now. 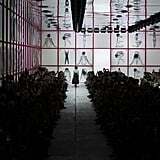 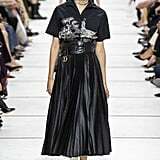 The setting for the debut of the Fall 2019 collection was at Musée Rodin, where a poem that highlights the female alphabet by Italian artist Tomaso Binga lined the walls. 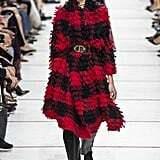 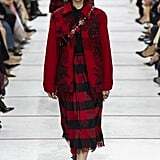 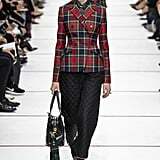 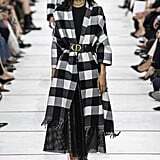 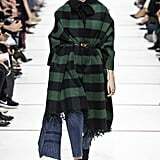 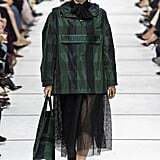 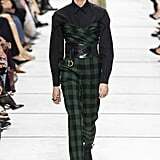 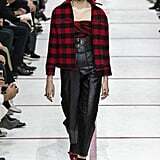 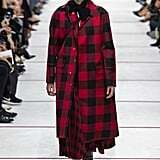 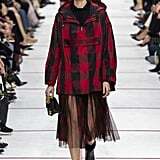 We've been seeing plenty of plaid for next season, but Maria Grazia Chiuri sent the boldest type down her runway, first in black, then in rich green and bright red. 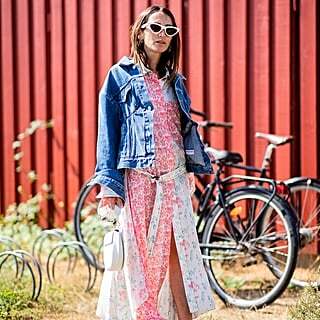 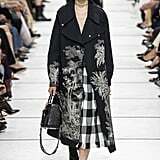 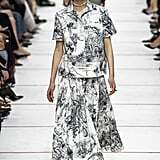 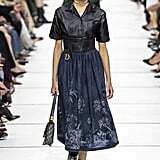 The print was splashed onto Mary-Jane kitten heels, ankle booties, midi skirts, and bags, and it was broken up by thick leather belts with signature gold hardware and patent coats. 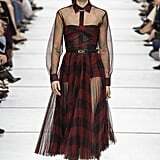 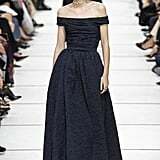 But just when you think things are getting quite edgy, you'll notice the ladylike pearl jewelry and those distinctive sheer, tulle skirts that have become red carpet staples. 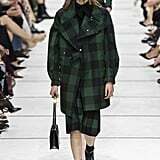 When it comes to the "viral" pieces every woman will want, it's the logo bucket hats, worn with netting for fancier events and without for a trip to the beach. 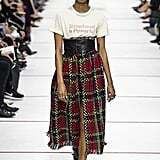 Oh yes, and that "Sisterhood Is Global" tee, which Karlie Kloss modeled from the front row. 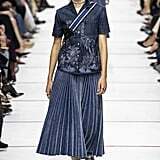 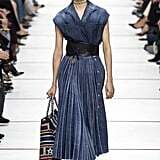 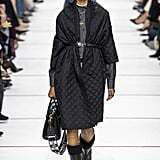 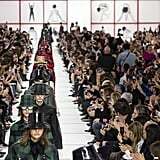 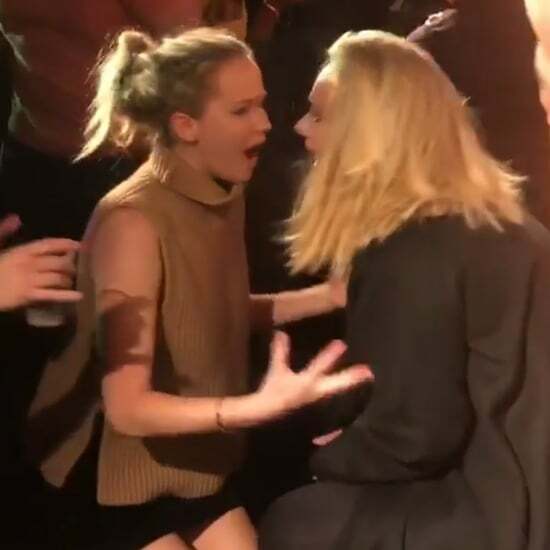 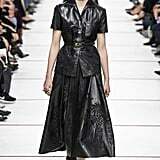 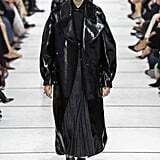 She sat alongside fellow Dior devotees Cara Delevingne and Jennifer Lawrence, who might've been admiring the midi gowns with front-slit skirts and peek-a-boo shorts underneath. 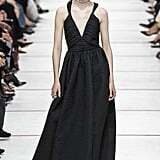 Now, J Law wearing that to her upcoming wedding would be cool as hell. 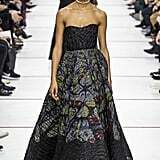 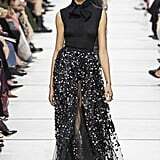 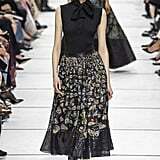 Forget About Disney Princesses — Have You Seen Karlie Kloss&apos;s Incredible Dior Gown?